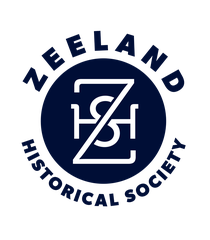 When the Pioneer Room exhibit at the Zeeland Museum was being designed by consultant Daryl Fischer in 1997, archival pictures from the museum's collection were used, and some material was secured from the Netherlands. Although there are several pictures of Dina Vande Luyster, wife of co-leader Jannes Vande Luyster, one person was neglected. 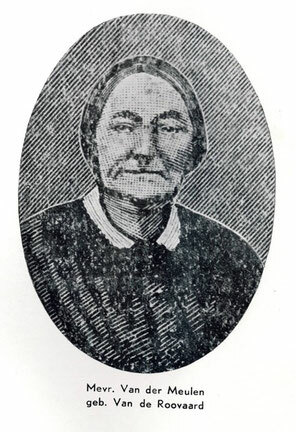 Elizabeth Vander Meulen was the much beloved wife of Rev. Cornelius Vander Meulen, the spiritual leader and chief construction supervisor of the log cabin village that became Zeeland. There were no pictures of Elizabeth and she was forgotten, until the fall of 2016, when Dorothy Voss thought her [Elizabeth's] story should be told. Dr. Robert Swierenga of the Van Raalte Institute found a picture in an old Dutch book, and webmaster Susan Norder found a lovely picture, said to be that of Elizabeth, at ancestry.com. Elizabeth lies next to her husband in the Zeeland Cemetery after receiving an outpouring of sentiment from the Zeeland community. More research will be done on the life and times of Elizabeth, but her likeness will be placed in the Pioneer Room so that visitors may meet the woman who stood next to her husband as a mother to this community of emigrants. Dr. Robert Swierenga, of the Van Raalte Institute, found this image in an old Dutch book. 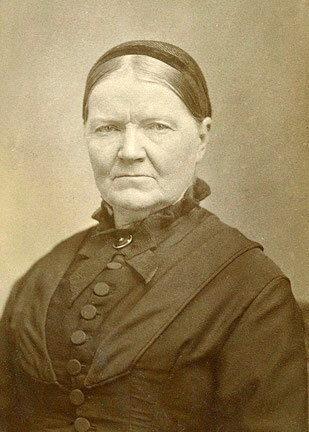 Webmaster Susan Norder found this image in Public Family Trees at ancestry.com. UNVERIFIED.